Is Your Income Earned or Passive? Most of us are depressingly familiar with earned income. You have to be active in order to make money in this way. You earn your income by working at a job, by being self-employed, or by engaging in side hustles. Any time you have to work for your money, it is earned income. This is by for the most common type of income for many of us. On the other hand, passive income is money that just sort of comes to you. You don’t have to do a lot for it; you just see an income stream. 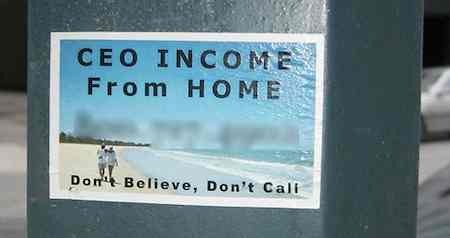 For the most part, passive income includes such items as dividend income, interest income, rental income, and income from monetizing your web site. Even royalties are often considered passive income. It is worth noting, though, that some insist that there is no such thing as truly passive income. After all, if you expect to make money from dividend stocks, you have to go through the mental work involved in research and the actual act of choosing and buying stocks. Royalties come after you have completed a creative labor. Rental income may come regularly, but you will have occasional duties to attend to, and some work is involved. Building up a web site so that it provides you with an alternative income stream requires time, effort and patience. However, the main characteristic of passive income is that it’s different from your job, and that it requires less active work. Instead, the point is to cultivate a situation in which you begin receiving income from a specific source without having to do a great deal of work to maintain it. Once the initial setup is complete, staying on track only requires a small amount of effort. Even though portfolio income often falls in the category of passive income in most minds, it is important to recognize that you will need to break out this type of income for tax purposes. Investment income, and interest income, are considered portfolio income, and not specifically listed as passive income when it comes to taxes. However, you can, in your personal budget, continues to treat portfolio income as a passive income stream. Just make sure you understand the reporting rules associated with it come tax time. If you want to shore up your finances, you can do so by cultivating some passive income sources. While it might take some time and planning to build up these sources of income, it can be worth it. If you plan it right, eventually your passive income can exceed your active income. I would love to have a blank business card like this someday! Passive income is something that has always intrigued me but there is also a good feeling that comes from putting in a good hard days work even if it is for somebody else! Right now, I’m not sure what the future holds but I’m pretty sure I will be working for somebody for at least the next few years. Both forms of income are important for any person as these two are important but the passive income just complement your active income and helps you build a better portfolio over time. But should always remember that passive income cannot replace the active income source. One should always keep in mind passive income is just like bonus that one gets every year.